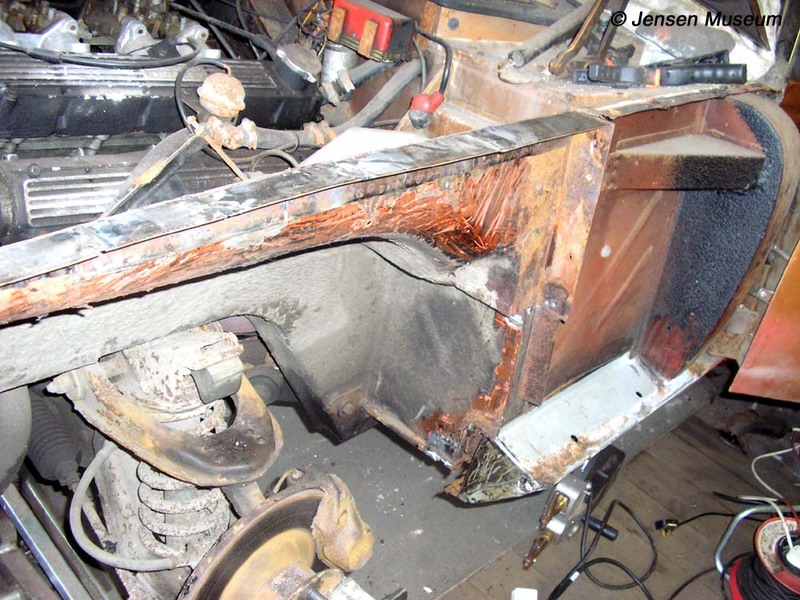 Jensen GT, chassis number 30045, remains one of just a handful of the so-called Sub-fifty-club cars known to survive. 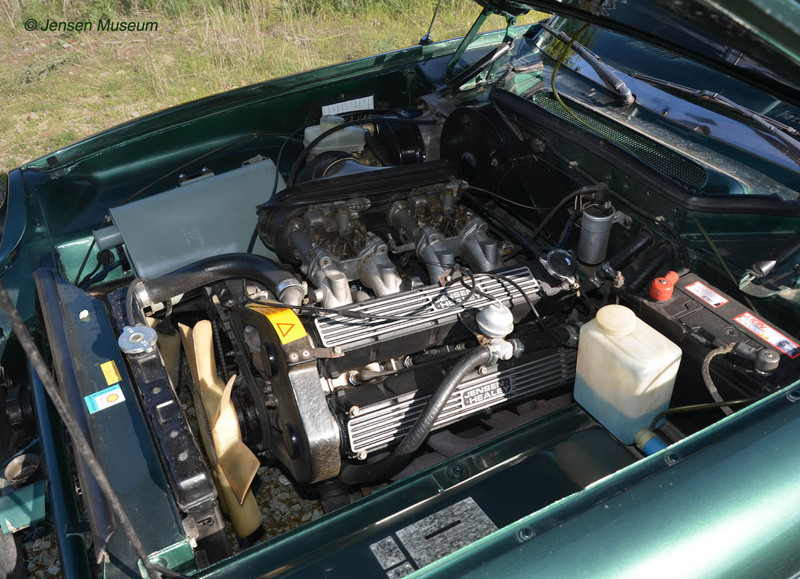 This rarity was acquired in 2005 by Dr.David Booth, the former Jensen Owners’ Club, Jensen Healey & GT Registrar. A three year restoration of the GT followed, after which the car was used sparingly. The Museum looks at the history that is held on the car so far, and hopes that further information on this historic vehicle, and its original owner, might be found. Within the world of Jensen enthusiasts, those owning an example of one of the first 50 Jensen GTs, affectionately call themselves the Sub-Fifty-Club. The cars are easy to spot, on account of the stainless steel bonnet trim, which gives the appearance of a large air-intake. 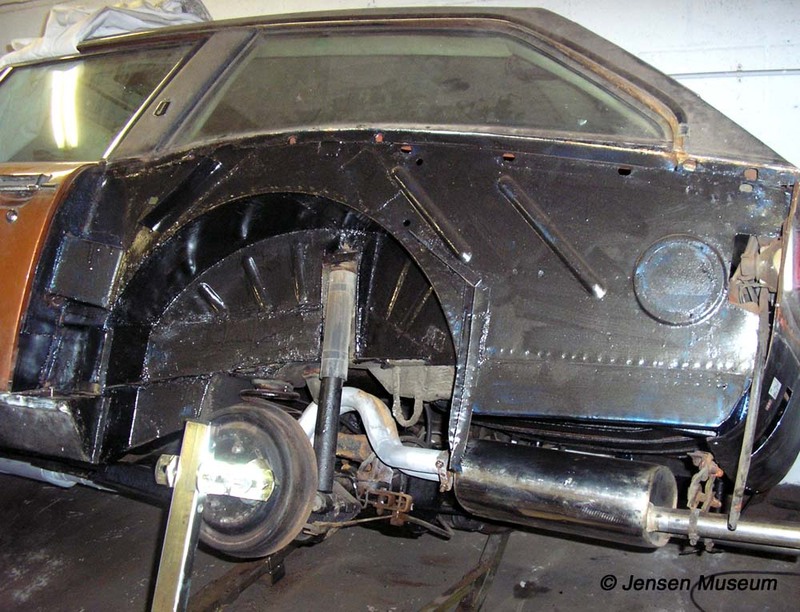 This feature was discontinued from all Jensen GT cars bearing chassis number (300) 51 onwards. Likewise, the first fifty cars had an Interceptor chrome Jensen badge fitted to to the lower right of the car, directly under the tailgate. 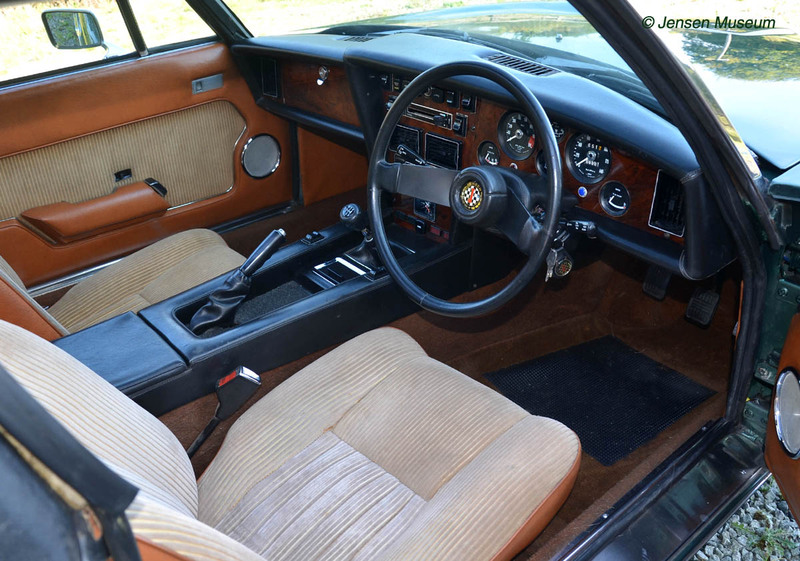 Jensen GT 30045 was given a specification of Saturn Gold and with a beige cord & tan vinyl upholstery. 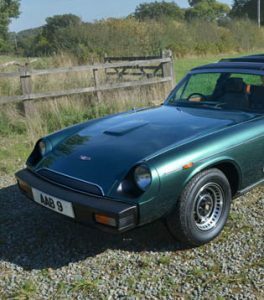 It was one of a few GTs finished on the line with a full black vinyl roof, along with a folding sun-roof (the folding sun-roof being an expensive option at £117, available between August 1975 and February 1976). Being one of the first 50 GTs manufactured, the car was completed with a stainless steel trim finisher to the front of the bonnet, along with chrome Jensen badge to the rear. The car was completed in January 1976, and given over to sales. 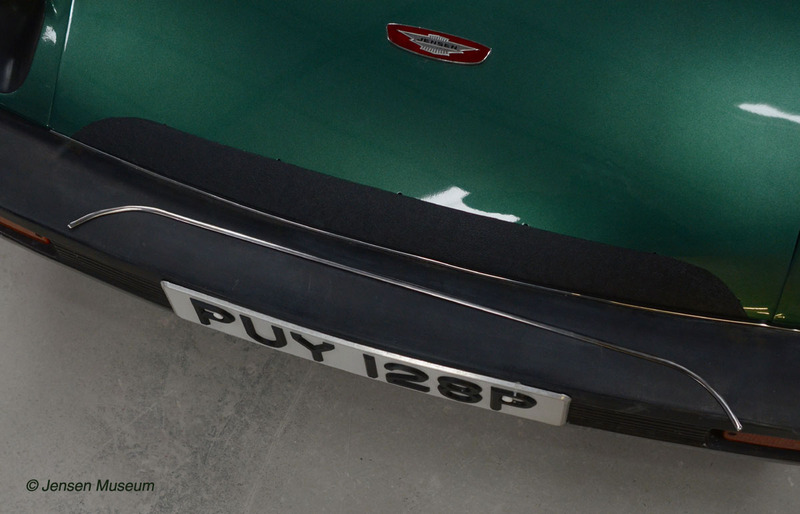 The car was destined for Newbury Motors, and was first registered 6th February 1976. The sales distribution list compiled by Sales Administration Manager, Jim Branson. 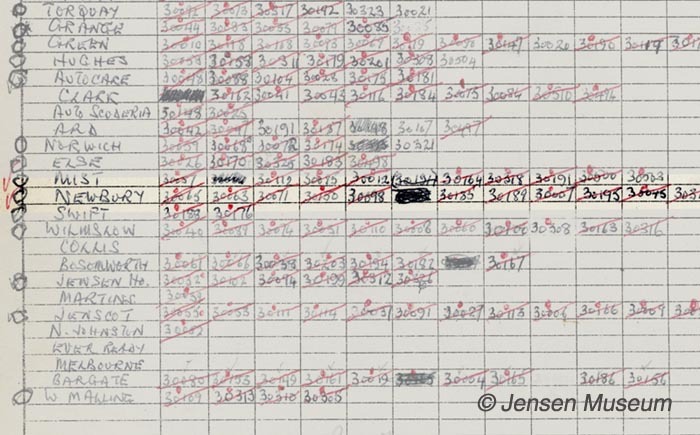 He logs that Jensen GT 30045 was destined for Newbury Motors (tenth car to Newbury Motors). The red diagonal line indicates they received the car. Unfortunately, due to the DVLA’s new data protection restrictions, it hasn’t been possible to find out the name of the original owner of this car. However, during a deep-clean of the interior, a small old typed name and address tag was found bearing the name Paul Gary Turner, and with an address in Sheldon, Birmingham. Was this the original owner of the car ? 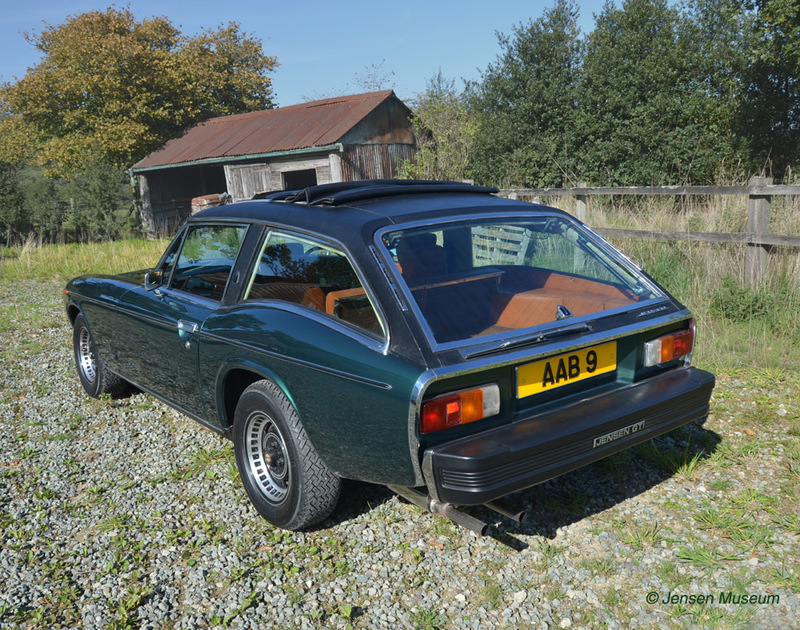 Between 1976 and 1998, the car had just one owner, and according to the DVLA, the car was last used on the road in 1983, before being placed in storage. By 1998, GT 30045, had been acquired by Mr Edwin Everall, from Orleton, near Ludlow, in Shropshire. By this time the car was looking somewhat jaded in appearance. Everall’s intention was to restore the car, but this never happened, and the car was left in one of the barns. With no productive work starting to the car by 2005, Everall decided to place the car for sale. 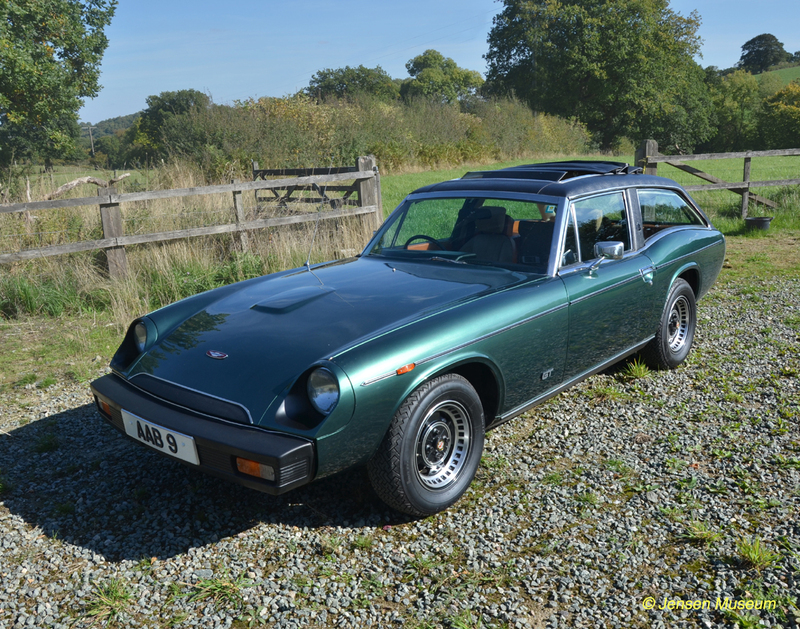 Dr David Booth, Jensen-Healey | GT Registrar for the Jensen Owners’ Club, had been looking for a suitable Jensen GT project car. 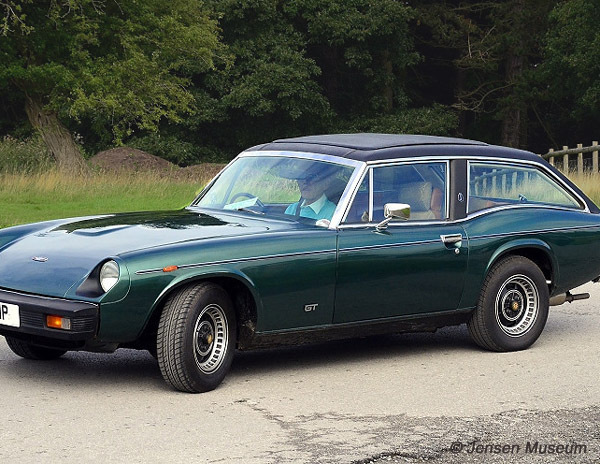 Already owning no less than three Jensen-Healeys, he wanted to add a GT to his stable of cars , and was actively looking for a suitable GT project to restore. Booth agreed a price with Everall, and acquired the car on 17th May 2005, and with the GT showing a mileage of just over 65,000. Back in Cheshire, initial strip-down work started. The interior, along with all the mechanics were removed. Front wings removed. The inner panels were in surprisingly good condition. New sill sections were welded in place as a matter of course. 30045 with rear wings removed. As with the front, the inner panels were in a surprisingly good state of preservation. the passenger side rear inner sections cleaned off and rust protected. 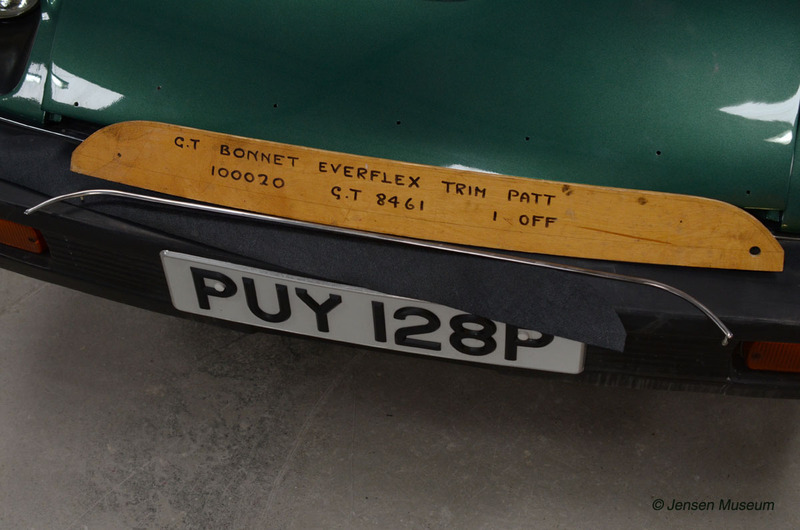 This pair of PUY 128P registration plates, were on the GT when acquired by Booth in 2005. The plates are made by the well known plate makers, ‘Hills’, and date from the 1970s. 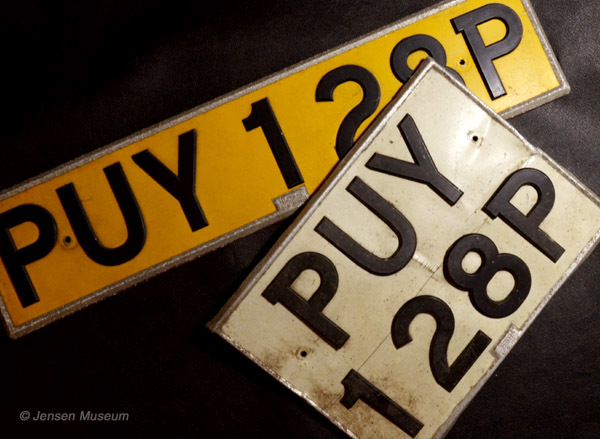 Undoubtedly these were the original plates on the car from new. All four wings were removed, and then the inner panels suitably painted and rust protected in preparation for the fitting of new wings. Meanwhile, Booth had chosen the new colour for the car. He wanted to keep to a GT colour, and decided upon Pine Green. By 2008 Booth had completed the restoration. The GT was now finished in Pine Green. Once finished, 30045 was rarely used. The car’s first MOT took place on the 29th January 2009, and the mileage shown was 65,969. By 2017, Booth had covered just under 2000 miles since his restoration. Booth driving 30045 shortly after completion of the restoration. Spending more time in Spain, Booth decided to down size his classic car collection. The GT would be one of his cars which would go up for sale. Back in 2015, Museum curator, Ulric Woodhams, had visited Booth. At that time it was mentioned the Museum would be interested to acquire the GT, if it ever became available for sale. Booth never forgot the conversation, and towards the end of 2017 offered the Museum 30045. On the 31st October 2017, Booth’s GT was acquired for the Museum collection. Jensen GT 30045 from the front. Photograph taken September 2018. Jensen GT 30045 from the rear. Photograph taken September 2018. Jensen GT 30045 interior. Photograph taken September 2018. Jensen GT 30045 engine-bay. Photograph taken September 2018. The focus of the Museum is always towards conservation rather than restoration. However, 30045 has already been restored. There were short comings in the restoration, and these have now been corrected by the Museum. 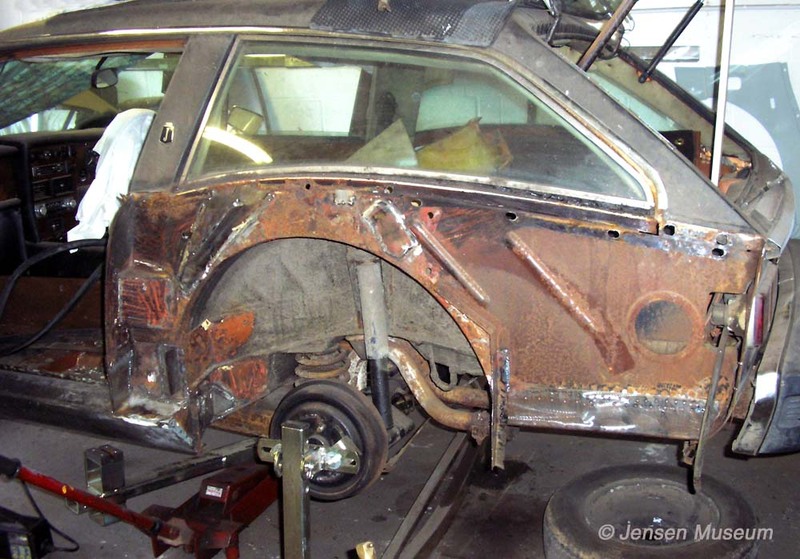 Chassis / Body: The car’s chassis is of sound structure with no rust in evidence. Booth’s restoration work involved replacement of the four rusted wings, and making good all metal work on the lower sections, where the wings meet the chassis. The work was undertaken to a good standard, with attention paid to door and bonnet gaps. Further work was undertaken to gap the doors to a higher standard.Due to some sinkage, the Museum had some of the car re-painted. Wax protection was sprayed into various cavities. Booth had mentioned the stainless steel trim to the front of the bonnet was in a poor state when he purchased the car. Booth could not find a replacement, and so left it off the car (the trim now in the Museum’s archive), hoping to find a replacement at a future point. With originality at the forefront, the Museum needed to have the trim re-installed. Repair was initially looked at, but the chance of a perfect, or near perfect repair seemed remote. The Museum contacted marque specialists, Rejen. They didn’t have any original shaped trims in stock. However, they did have a small quantity of unfinished trims. These were horizontal trims, requiring forming to each end. 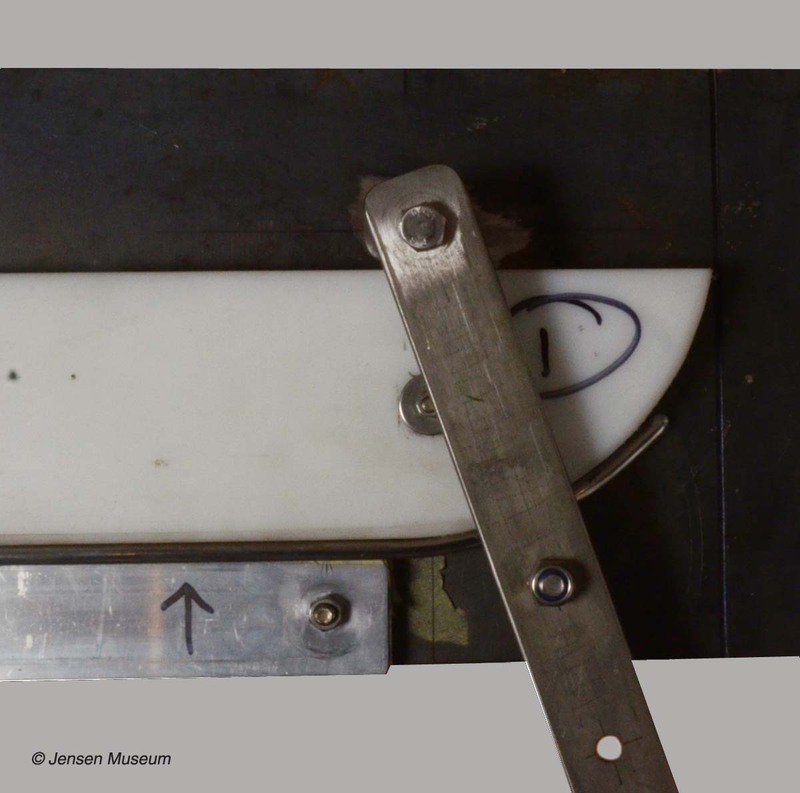 The Museum had a jig manufactured to form the bends to the trim. Rejen also had the original wood template for the black Everflex section immediately below the trim. The Museum had loan of this, to remake the section. The special jig manufactured to put the unique bends in the stainless steel trims. Detail of the jig. The stainless steel trim is held into the lower section between the white nylon section, and the aluminium panel at the base. The steel swivel has two nylon cogs, one with a corresponding rolling groove, the size of the trim. The steel swivel has two holes along its length, allowing for a long bar to be fastened to it. 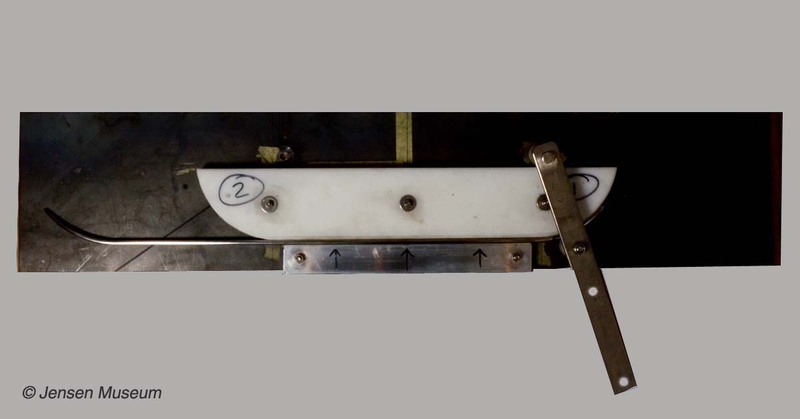 This allows the operator to slowly swivel the bar, pushing the trim to the required bend. Since the stainless steel trim is hollowed out to the inside, it was found that filling the inside with lead, forming the bends, and then reheating the trim to dispose of the lead, was the most efficient way of creating perfect bends. GT 30045 with the original Jensen Motors Trim Shop wood pattern for the pseudo air intake ( a part of the Rejen collection). The stainless steel trim, and the section of black Everflex, cut to pattern. GT 30045 with the black Everflex glued into position, and the finished stainless steel trim ready to go into place. Mechanics: The car had been little used for several years, and this had led to some mechanical deterioration. A full overhaul of the braking system was required. It was also decided to undertake a major service of the engine, with replacement of all consumerables. All fluids were replaced. 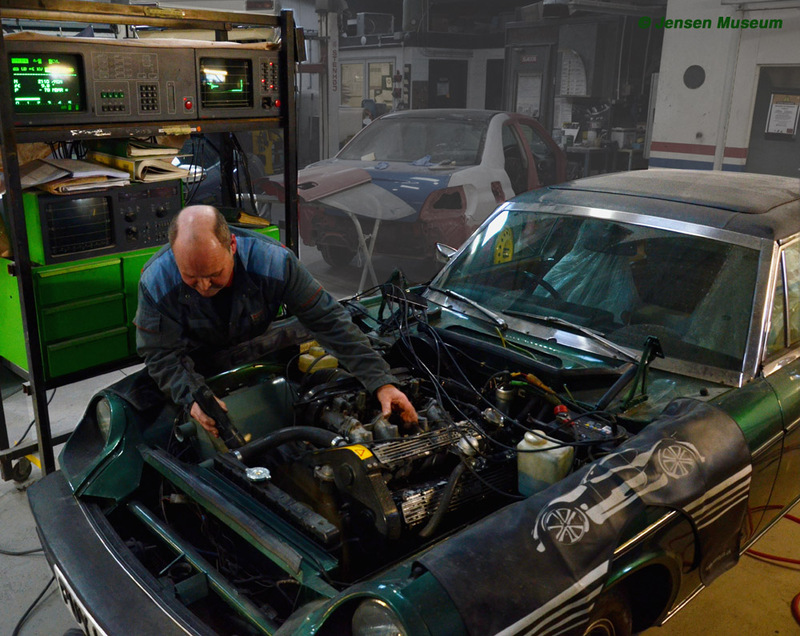 Jensen GT, chassis number 30045, undergoing a check over, using a 1982 manufactured Bosch diagnostics tuning system. Interior: Both driver and passenger seats required attention. 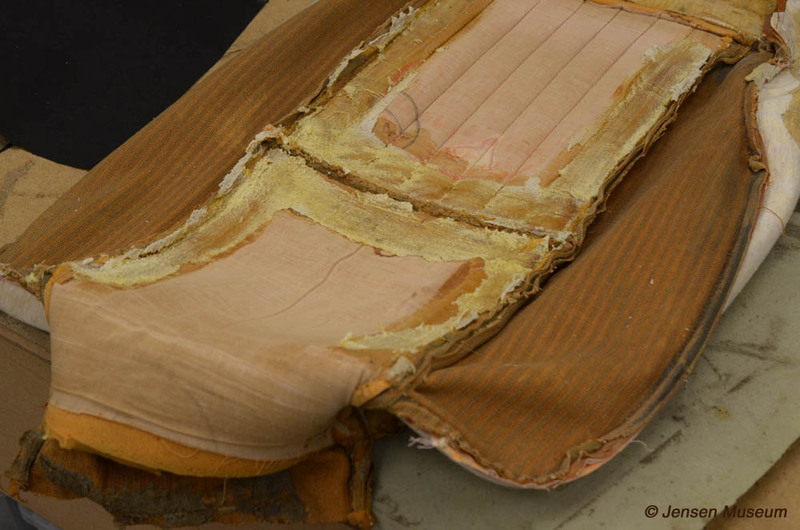 Although the original cord fabric remained in excellent condition, the inner seat foams had disintegrated over time. Marque specialists, Rejen, have carefully replaced the interior foams. The cord covers carefully removed from the Latex rubber seat foams. 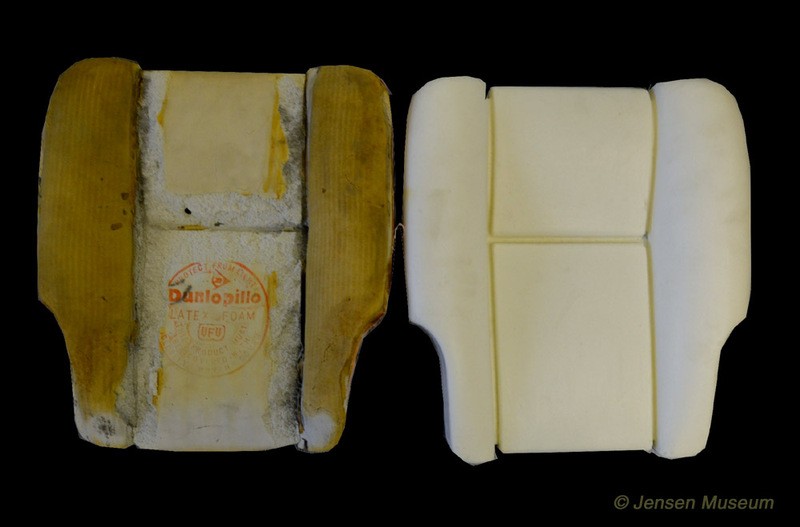 One of the original Latex rubber seat foams, along with a new cushion manufactured for Rejen. 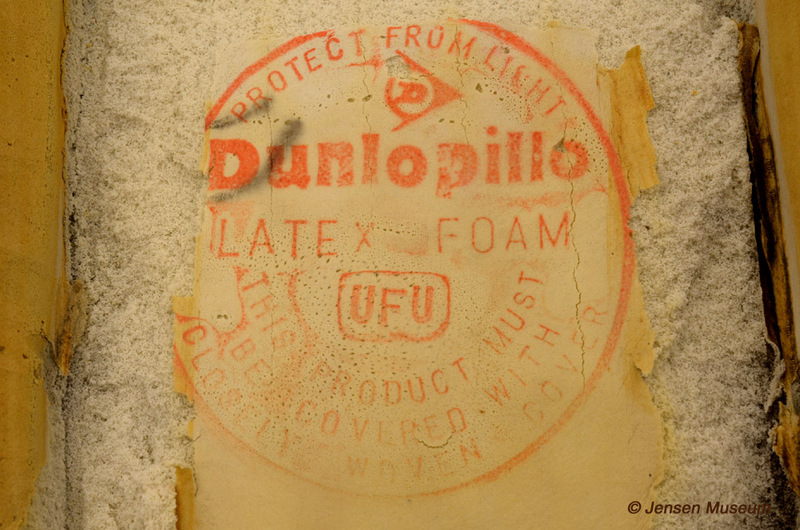 The Dunlopillo brand label which was stamped onto the original seat foams. Both front carpets required replacement. These were made exactly to pattern by Rejen. Various instrumentation was not working, resulting in replacement of switches and various electrical work. The original burr walnut panels remain in perfect condition, and will be conserved. A non-original radio had been fitted by Booth. This was replaced with a new old stock period (1975/76) Pioneer radio ‘8’ track player, a unit that was originally installed in GTs. All four speakers required replacement, and relevant replacements were acquired from Rejen. ACKNOWLEDGEMENTS: Dr.David Booth | Jason & Paul Lawrence, Rejen.